José e Pilar is a deeply moving story about love, loss and literature. 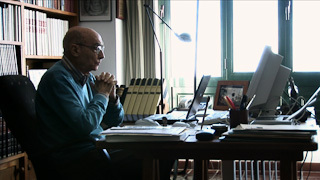 It follows the days of José Saramago, the Nobel-laureate Portuguese novelist, and his wife, Pilar del Río. The film shows their whirlwind life of international travel, his passion for completing his last masterpiece, The Elephant's Journey, and how their love quietly sustains them throughout. José e Pilar reveals the hidden Saramago, unravels any preconceived notions about him, and proves that genius and simplicity are indeed compatible. It is a funny and touching portrait on the endurance of the artistic spirit. A glimpse into the life of one of the greatest creators of the 20th century, it shows us that, as Saramago says, "There is always another way to say everything." This life-affirming film has charmed audiences and juries world wide, and was Portugal's official entry to the 2012 Academy Awards. 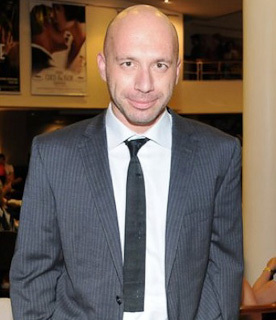 Miguel Gonçalves Mendes is a Portuguese film director, screenwriter, and film producer. Since the early 2000s he's worked on a number of shorts and features, generating a filmography that has taken him to renowned film festivals around the globe.